I’ve forged a lot of relationships on the internet. It still sometimes amazes me how you can find a friend through a friend and then find another… on and on in an interconnected chain. One of the people I met this way was in a place not unfamiliar to Mister Tea and I in regards to medicine – both for himself and for his wife. That place where you do not have the financial resources to do everything that is needed, and have to seek assistance outside the boundaries of modern western medicine. His wife was facing a particularly nasty illness, and he was worried about being able to be strong enough for her, emotionally. The depth of the love and concern he had for her was easy to see, and beautiful as well. We talked at length about his worries, and about his preferred tastes, so that I could choose the right array of herbs to suit both sets of needs. 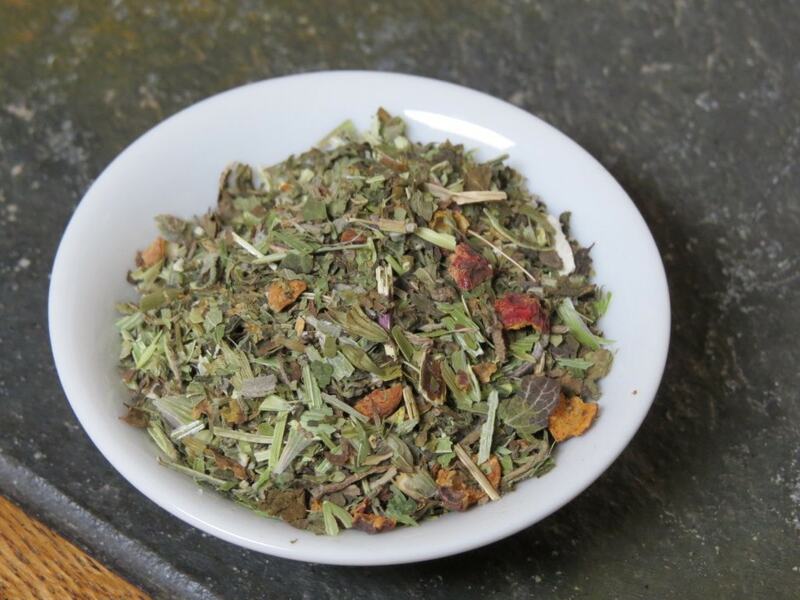 Because of the savoury nature of most of the herbs involved, it took me a bit longer than usual to be truly happy with the balance of this blend. However, the gent it was blended for was quite happy with it – and it gave him the ability to ease down a bit, within his personal cyclone of stress. I take a special joy in knowing that one of our custom blends did what was needed. 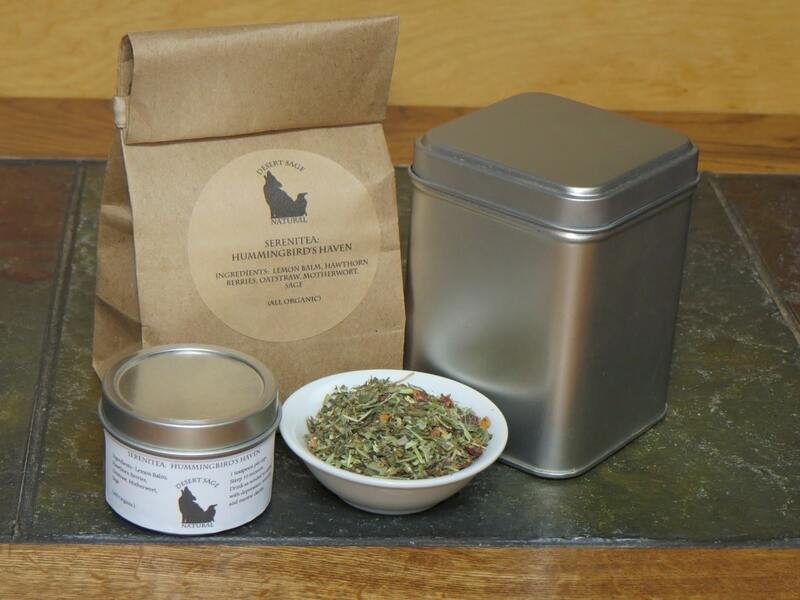 This entry was posted in SereniTeas, Things We make (Tea, Coffee, Cocoa) and tagged Herbs for Anxiety, Herbs for Depression, Organic Hawthorn Berries, Organic Herbal Tea, Organic Lemon Balm, Organic Medicinal Tea, Organic Motherwort, Organic Oatstraw, Organic Sage, Organic Tea, SereniTea, Stress Relief, Tea for Anxiety, Tea for Depression by DesertSage. Bookmark the permalink.